When will be Predators Up Close with Joel Lambert next episode air date? Is Predators Up Close with Joel Lambert renewed or cancelled? Where to countdown Predators Up Close with Joel Lambert air dates? Is Predators Up Close with Joel Lambert worth watching? 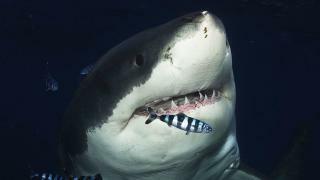 Ever wondered what it's like to come face to face with the planet's most dangerous predators? 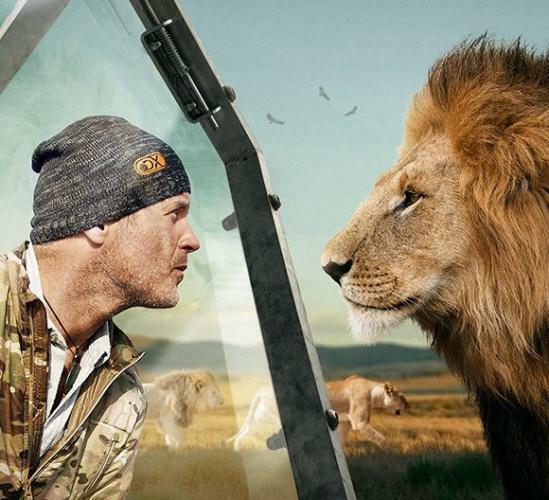 Brand new to Discovery in November, this series follows former Navy SEAL Joel Lambert and his team of experts as they do just that.In a bid to analyse their sophisticated hunting behaviour, Lambert travels with a team of researchers from the four corners of the world to study the most powerful predators known to mankind. The project takes the team from the plains of Zambia and the frozen ice floes of Norway, to the treacherous waters off the coast of South Africa.Using a specially-built, transparent pod made from the strongest jet glass, Lambert and his team spend 24 hours living among the animals. Their state-of-the-art laboratory contains an array of scientific equipment allowing them to come face-to-face with lions, hyenas, polar bears and sharks, to record and measure their fascinating behaviour, senses and skills, as well as Lambert's reaction to being the hunted, rather than the hunter. 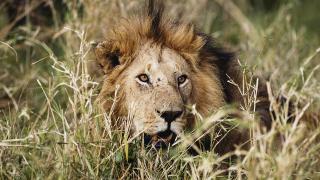 In remote eastern Zambia, Joel Lambert goes in search of Africa's largest predators: lions. He's brought with him a unique, mobile laboratory - the pod - which he must get close enough to a pride to investigate lion's key predator attributes, including night sight. The world's best thermal camera allows him to see predators at night in spectacular detail, and he uses his military skills to stalk them in daylight too. During a thrilling night in the pod, lionesses shred the robust bite-force meter, and a big male tries many ways to get in. When a herd of buffalo appears, Joel witnesses the pride's hunting prowess. 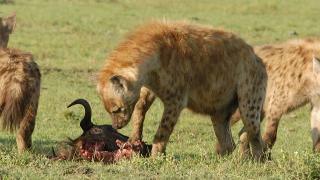 Joel travels to Zambia to investigate Africa's most successful predator – the spotted hyena. He learns that they're unusual in many ways: highly social, dominated by females not males, and the only animals on earth capable of biting through bone. It becomes clear there's a hyena clan operating near camp when they are heard in the river, and captured on camera breaking into the camp's kitchen. Joel constructs his pod nearby, and uses hyena-call recordings and a puzzle box to test a key hyena attribute: intelligence. Accompanied by Norwegian vet and polar expert Trude Mostue, former US Navy SEAL Joel Lambert travels to the Arctic to study the world's largest land predator, the polar bear. They embark on a 300 ton icebreaker, the Havsel, and are soon heading north into a world of sea ice and 24 hour daylight. They encounter a big male bear, and a mother with 2 cubs, but in both cases the ice isn't thick enough to support their 500 kilo field lab. 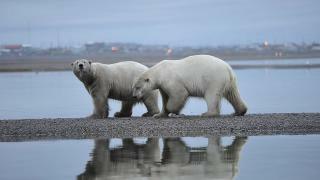 Finally, they deploy the pod, and are able to investigate the polar bear's key adaptations – but the sea ice beneath them proves nearly fatal. In the choppy waters of the South Atlantic just below Cape Town, former US Navy SEAL Joel Lambert takes on the world's most feared ocean predator, the great white shark. Converting the pod for use at sea proves hazardous and difficult. But while the team tries to fix it, Lambert witnesses the most spectacular form of shark hunting on the planet - the breach - when the 2-3 ton great white leaves the water at 40 km/h to take out unsuspecting young seals in False Bay. Joel assesses the impact power of the sharks using an accelerometer, and takes the plunge when he agrees to test the pod in shark-infested waters. Predators Up Close with Joel Lambert next episode air date provides TVMaze for you. EpisoDate.com is your TV show guide to Countdown Predators Up Close with Joel Lambert Episode Air Dates and to stay in touch with Predators Up Close with Joel Lambert next episode Air Date and your others favorite TV Shows. Add the shows you like to a "Watchlist" and let the site take it from there.